Do you love helping others? If so, the healthcare sector offers a wealth of opportunity for you. There are tons of jobs in healthcare that do not require a medical degree or a nursing degree. Here are some of the best jobs in healthcare at the entry level. There is a growing need for home health aides for the elderly and disabled. Not all healthcare sector jobs take place in a doctor’s office or hospital. Home health aide is one of the fastest-growing positions, in part because the number of elderly people is growing very fast. Home health aides assist elderly or disabled people in their own homes. A home health aide may help with giving medications, check vital signs, assist in moving patients safely, or simply chat with patients about how their week is going. They may help patients perform activities of daily living (ADLs), such as getting dressed. They may also be asked to do some light housekeeping tasks that the patients are unable to do, such as laundry or cleaning. Medical secretaries work in doctor’s offices, clinics, and hospitals. They answer phones, set up appointments, make follow-up appointments, and in general assure the smooth functioning of administrative tasks behind the scenes. They are responsible for keeping and maintaining records. Medical secretaries need to be able to work with the public unflappably and keep very accurate records. Physical therapy assistants help patients with their exercises. Patient service representatives are very similar to customer service representatives, but they work in medical settings. They may work in doctor’s offices, clinics, or hospitals. They work not with medical care directly, but with the patient’s experience of that care. They may meet people checking in at a clinic or hospital for a procedure, for example. They may be responsible for follow-up about a patient’s satisfaction with the care. They may be the point of contact for any concerns patients have about administration, such as billing or insurance. Certified nursing assistants work in medical settings to do some of the non-medical tasks that nurses perform. Nurses are some of the busiest people in U.S. hospitals, so certified nursing assistants have become increasingly important. They may take vital signs such as blood pressure. They may give patients medication. They may help move patients who cannot move themselves. They may help feed and bathe patients. 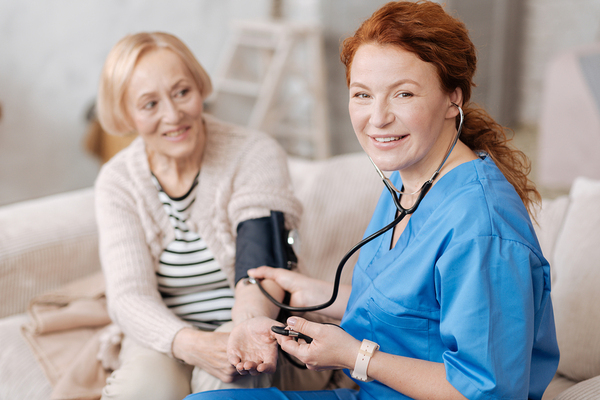 Being a certified nursing assistant requires a certification program and an examination, but it doesn’t require a registered nurse (RN) or bachelor’s degree. Just as nurses need assistants, so do physical therapists. Physical therapy assistants help patients who need physical therapy as a result of illness or accidents. They may help fit patients for physical therapy devices such as crutches or slings, and give advice on how to use those devices. They may help patients with the regimen and exercises that a physical therapist sets up. They may monitor the patient performance of their exercises, and check the progress of the rehabilitation. These five jobs are some of the best in the healthcare sector. Looking for a job? Get help with recent job articles from YourJobsOnline.